I love the swings, too! 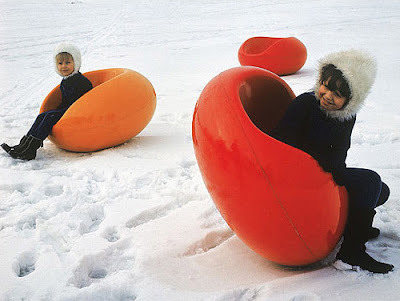 They are kind of like a hammock...but more fun! 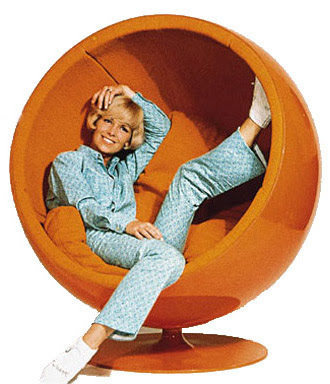 I would have to have the green one, and a patchwork jumpsuit to boot. 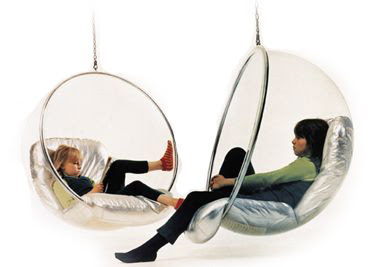 those "swings" are bubble chairs for inside your home. 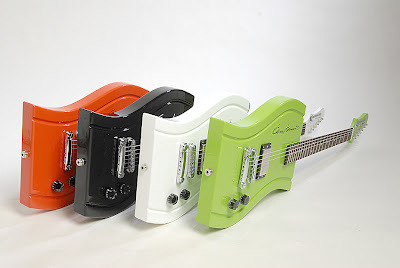 Ah, love the idea of Eero Aarnio electric guitars for each family member. The new mod Partridge Family! Gorgeous finds. 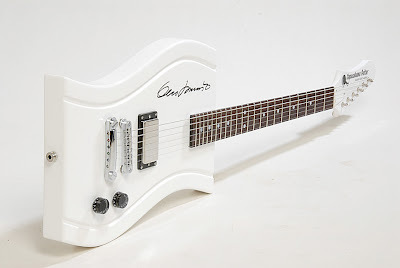 Love the guitar. Especially the colors. They are awesome. My husband has been trying to get me to let him get a guitar, he says it would be the most relaxing thing if her knew how to play one, to come home after work and strum away. OOooh! I love the clear hanging ones! Happy New Year mod*mom! I've tagged you for a Thinking Blogger's Award! i'm so glad you pals love them too. Il existe aussi une photo où l'on voit le fauteuil "Pastilli" flotter dans une piscine. Et oui il fait luge et il flotte aussi sur l'eau!